Get your friends and family together and see London light up for the new year, with parties, fireworks, cruises and more on New Year’s Eve in London. 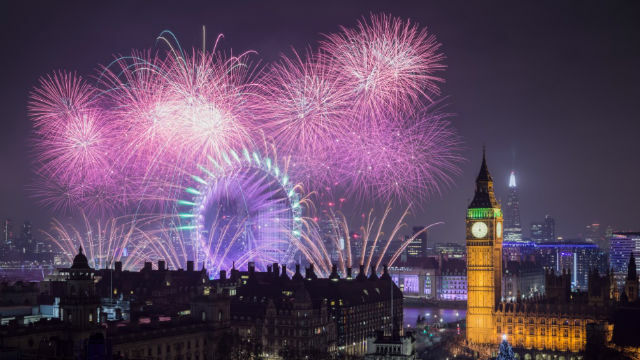 You need a ticket to attend London's New Year's Eve fireworks display. You can also watch the fireworks from the river on a New Year’s Eve cruise, or from a restaurant with views over the Coca-Cola London Eye. Restaurants, bars and clubs put on New Year's Eve celebrations, which are usually ticketed. New Year's Eve travel on the Transport for London network is usually free between 11.45pm and 4.30am. 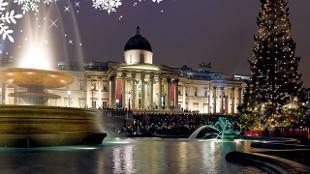 Take a look below for ideas of things to do in London on New Year's Eve, from the London New Year fireworks and special New Year’s Eve day events, to dazzling meals and parties lasting into the early hours of 2020. Whatever your plans, make sure to check availability and book in advance to make the most of London's New Year's Eve celebrations, as spaces are often limited. 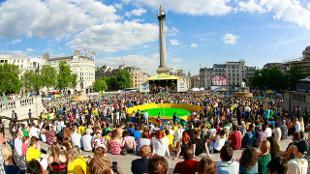 Central London gets very busy during the evening, so make sure to plan your journey in advance. There is usually free travel on TfL public transport services on New Year's Eve, including the Underground, buses, DLR, London Overground and trams. 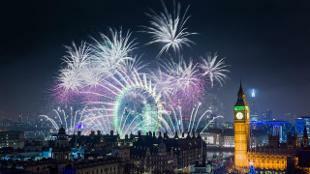 The London New Year's Eve fireworks light up central London every New Year's Eve with a dazzling spectacle of pyrotechnics. London's NYE fireworks have been ticketed since 2014. Tickets usually go on sale in September. If you want to be part of the celebrations on the night, you must have secured a ticket to be able to attend. If you're not attending the fireworks, there are plenty more London New Year’s Eve 2019 activities to enjoy – take a look at some alternatives below, including other ways to see the London NYE fireworks. Choose a magical evening river cruise on the Thames, where you can watch the NYE fireworks and enjoy live entertainment as you welcome 2020. Watch the London NYE fireworks from the river on one of City Cruises' New Year's Eve cruises: choose from dinner cruises, speedboat rides, traditional boat trips with champagne and live music, and even dinner in the R.S. Hispaniola ship, moored opposite the London Eye. Take a thrilling speedboat ride with Thames Rockets, before cruising back to central London in time to see the New Year's Eve fireworks. 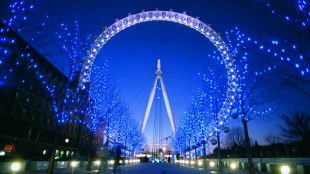 Or, enjoy mulled wine and snacks on a speedboat cruise to Big Ben with Thames RIB Experience. Below are some of the top New Year's Eve activities in 2018. Most events and activities are not yet confirmed – check back later in the year for confirmed things to do on New Year’s Eve in London 2019. Party through the decades at the Southbank Centre's New Year's Eve Spectacular. 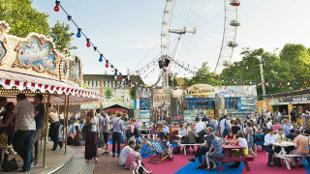 Take a breather from dancing and enjoy prime views of the London fireworks from the outdoor spaces. Watch the fireworks at the London Sky Bar's New Year's Eve party, featuring panoramic views of London, a cinema, delicious food from around the world and a dancefloor. End the year on a high with dinner and music at a restaurant with amazing views of the London New Year’s Eve fireworks, such as Aqua Shard, Galvin at Windows, Wahaca Southbank, The Rooftop St James and either the Library Lounge or Gillray's Steakhouse & Bar at the London Marriott Hotel County Hall. Feast on five courses and be mesmerised by live performances amid stunning surroundings at the Savoy Ballroom Dinner. Choose three delicious courses from the contemporary British menu in the iconic Oxo Tower Restaurant. Be transported to Havana at Asia de Cuba this New Year's Eve with fabulous dancing and multi-course menus, including vegetarian options. Ring in 2020 with the sound of a live band at the famous Hard Rock Cafe, as you dine on American fare. Join the fun at Bunga Bunga Covent Garden, where karaoke and immersive entertainment accompany the four-course Italian feast. Celebrate New Year's Eve with loved ones and new acquaintances at St. JOHN, where suckling pigs are served family-style on long tables. Enjoy an afternoon skate at one of London's top ice-skating rinks. Get stuck into festive fun at Winter Wonderland with rides, markets and shows. 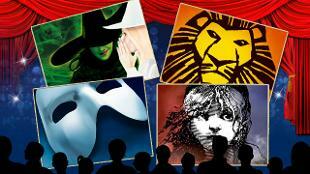 Take the family to a top Christmas show or a spectacular West End performance (not all productions have shows on New Year's Eve, so check dates in advance). Tick off some of London’s top attractions, many of which are open during the day on New Year’s Eve. Watch The Shard illuminate the sky with a special New Year's Eve light show. Start the new year off with the London New Year’s Day Parade 2020, which usually sees around 10,000 performers parade through central London. Hit the shops in one of London’s top shopping destinations to pick up bargains in the January sales. Marvel at the Christmas lights, which can still be spotted across the city. 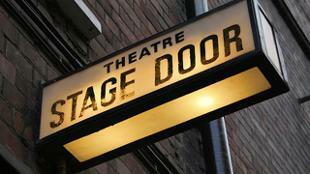 Take a look at what else is on in London on New Year's Day. Find more things to do for New Year's Eve and Christmas in London.